Wandering in the City of Pines but can't decide where to eat? 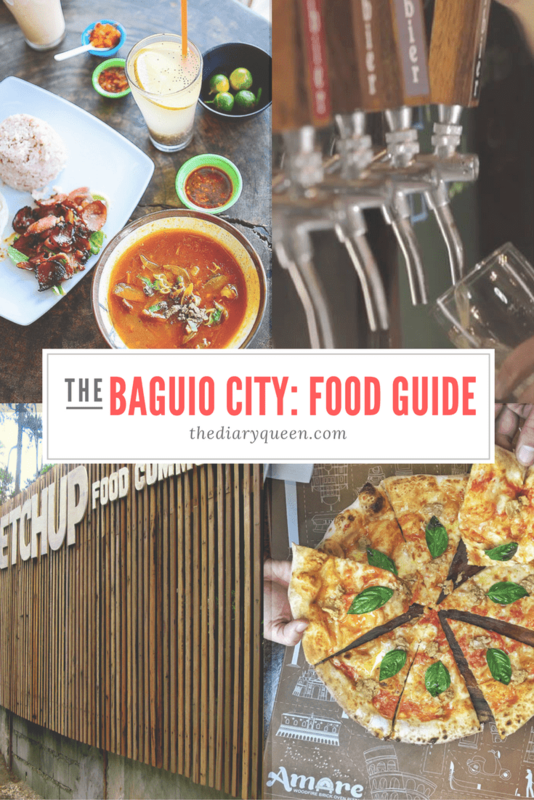 As my second home, I will always be a fan of Baguio's rich culture and local cuisine. And I was lucky enough experience all these different gastronomic adventures in this City, so I made a list of my favorite foodie spots that are truly and proudly local, plus a quick review on each of them based on my experience, just in time for their upcoming Panagbenga Festival. It's no wonder why a lot of tourists keep on flocking the city despite the horrible traffic and crowded areas during peak seasons such as Christmas and during the Panagbenga Festival. The cold Baguio weather ironically seems to make the holidays feel warmer. And besides, that's when its beauty is at its peak. So if you're planning to visit this holiday season, it is highly recommended that you plan ahead of time and book hotels or transient houses in Baguio as early as now. Make sure to check online travel agencies like Traveloka Philippines for different promos and offers so you can save money. Don't you just love the convenience of food parks? Well, Baguio isn'tone to be left behind. 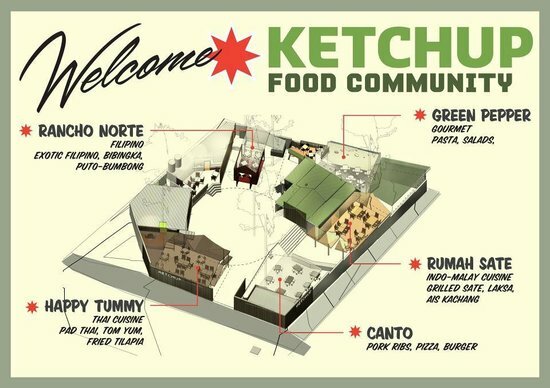 Ketchup Food Community, located in front of Wright Park, started in early 2012. It is composed of five home grown food-concept restaurants, namely, Canto, Rancho Norte, Happy Tummy, Rumah Sate and Green Pepper. The best part? You can dine anywhere in the area and order across different restaurants without having to leave your seat! Each of them offers a unique style, ambiance, and cuisine which would definitely tickle your taste buds. But among the five, I'd have to admit that Canto is my favorite spot. 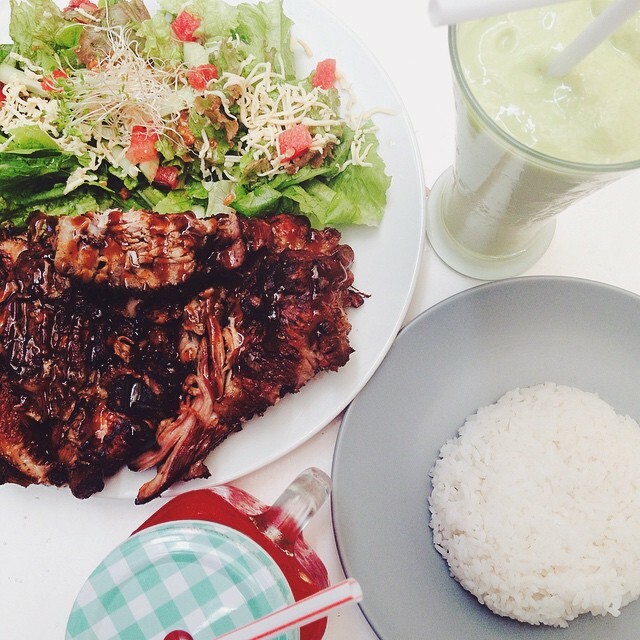 Their perfectly seasoned lomo ribs served with rice and cascade salad is to die for! Literally melts in your mouth! I guess the only downside to this place is that it isn't big enough to accommodate all the guests lining up to come in (especially during long weekends and holidays). But nonetheless, the price and hype for this place is definitely one for the books! If you've been to the infamous vegetarian restaurant, Oh My Gulay, you’d be equally amazed by this new concept of Kidlat Tahimik. From what looks like a small deformed wooden house with excessive branches of trees protruding on the outside, you would be a lot more surprised once you get in. 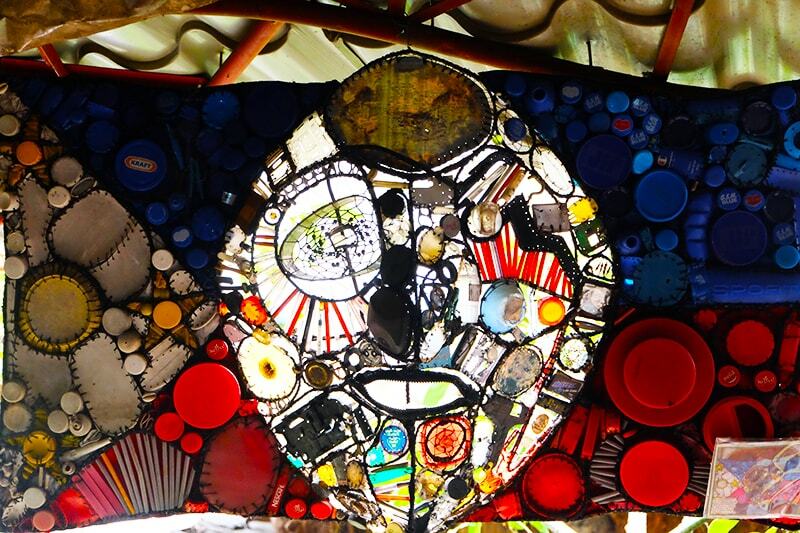 Ililikha Artist Village, located just a few blocks away from Session Road, is a screaming art hub in the middle of the highly-urbanized City of Baguio. Aside from supporting local arts and crafts, the Village also promotes healthy eating through their Kiwing na Kahoy Kommunity Food Hub (KKK), which includes Café Cueva and Balbacua by Urban Kamote. We were able to try the native southern dish called Balbacua, along with the locally produced & free-range smoked bacon. And to our surprise, their menu was really budget-friendly. No wonder why students from the neighborhood also flocked this food hub during lunch break. Fancy something Italian? 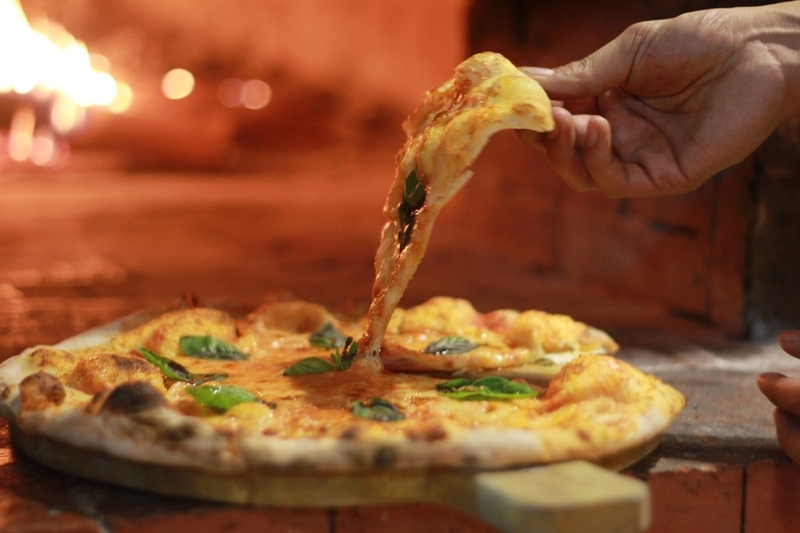 Try Amare's woodfire brick oven pizzas! 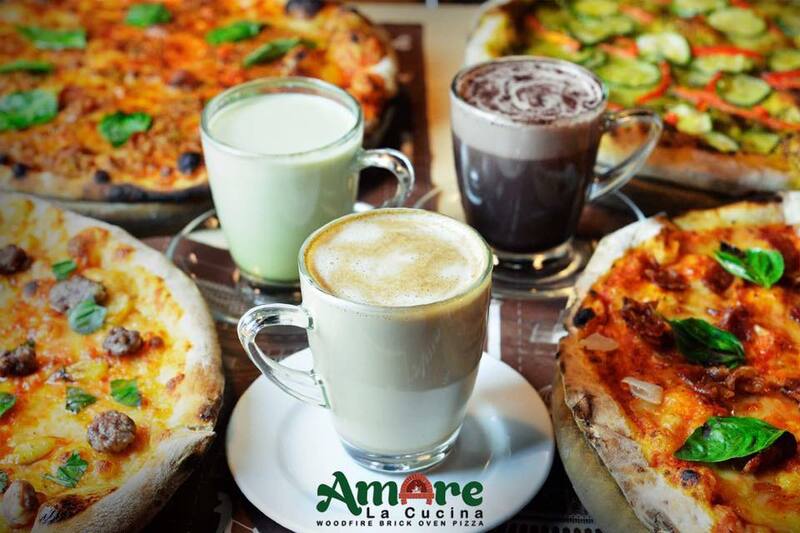 Derived from the Italian phrase "to love a kitchen," Amare La Cucina owner Edmark Bustos who initially had no background in cooking, pursued his passion and opened his own restaurant. 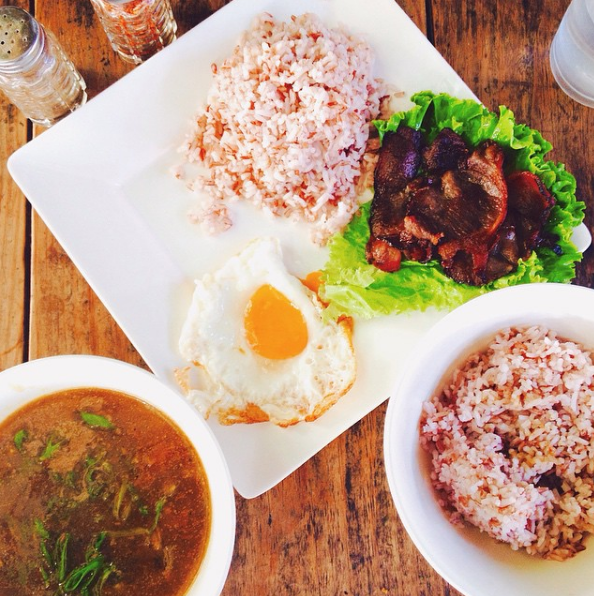 The modern yet rustic ambiance of Amare goes well with the type of cuisine they're serving. Too bad we weren't able to try the other dishes on their menu because they were about to close when we arrived, so we just ordered a 13-inch White Pizza with Anchovies to take home. And it is, by far, the best pizza I've ever tasted! And what goes best with pizzas? Of course, an ice cold beer. And that's where we're headed next. Apparently, Amare La Cucina owner, Edmark Bustos, happens to be a co-owner of this well-reknowned local craft brewery along Marcos Highway. For first-timers, I highly recommend that your try their sampler tray: composed of 5 glasses of their crafted beers inspired by the five realms of Ifugao mythology: Kabunyan (Skyworld), a Wheat Beer; Dalom (Underworld), a brown ale; Pugaw (Earthworld), an India Pale Ale; Daya (Westernworld), a German Lager; and Lagud (Easternworld), a strawberry beer. 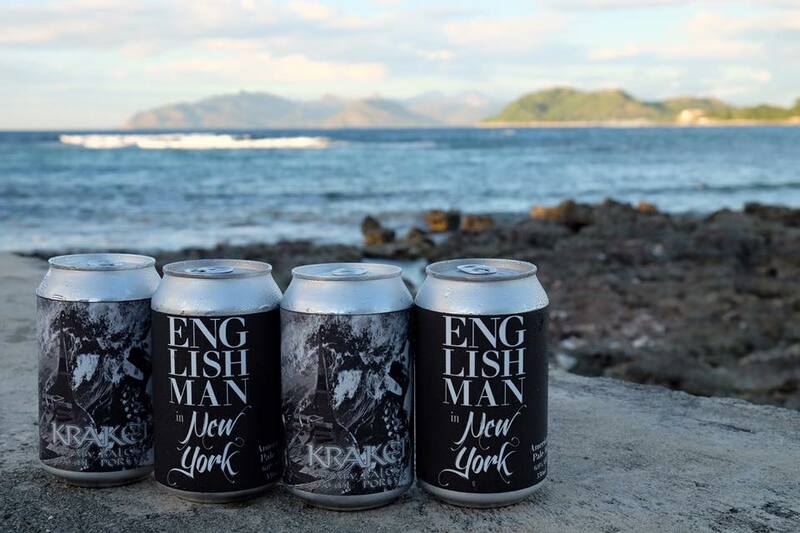 Each of their crafted beer has a different amount of alcohol content. 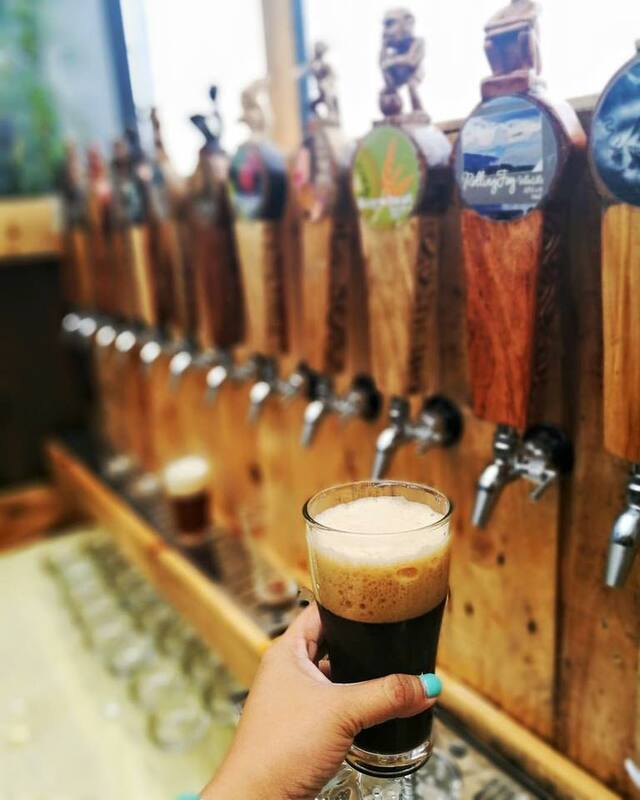 So for beer-lovers, they have a wide array of choices, depending on your taste. They also serve food appetizers that are a perfect-match with their ice cold beer. It ranges between 150-350php per order. Baguio City has a lot more to offer and this is just about a tiny portion of what I love about the place! So stay tuned for more of my gastronomic adventures in the City of Pines soon. Have you tried any of these food spots? Got any recommendations?